Fancy - Such as skunk pattern and cloud patterns. The creative name for skunk pattern is derived from the black-and-white pattern, which very much resembles that of a skunk, especially due to the pattern on the head. And as the name suggests, the Cloud pattern very much resembles clouds shapes on the head of the shrimp. Colouration of pintos generally come in either black or red base. To begin defining the F1, F2, F3, etc terminology, we need to cover some basics in genetics and inheritance. Using Gregor Mendel's Law of inheritance, let's observe how genetic traits are handed down from parents to offspring. 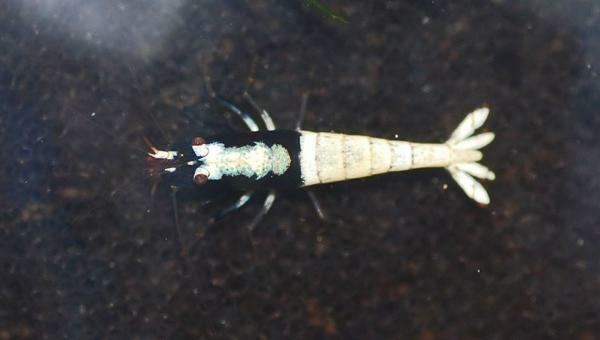 We will concentrate on the simplified traits of shrimp variants and colour traits (or phenotype) only, which will be easier for everyone to understand. 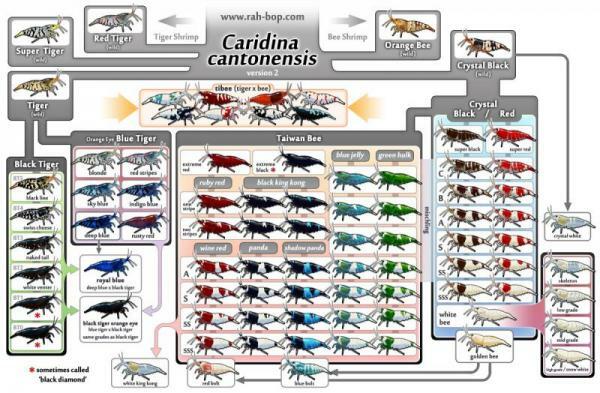 A simplified view of what you would get crossing a Taiwan Bee and Crystal Shrimp. Over simplified Mendel's Law applied to Bee shrimps (click to expand). Of course it is never that simple and it doesn't mean you are guaranteed a % of either offspring. 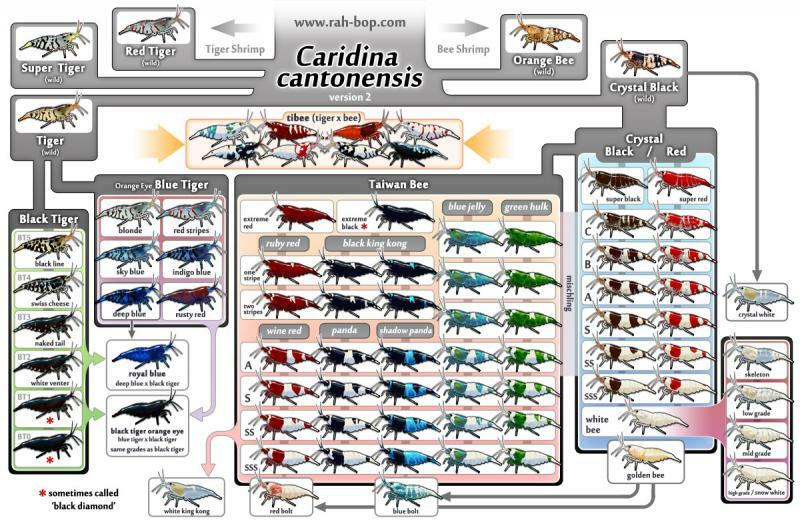 A more detailed result of Mendelian inheritance including the Law of Dominance applied to a Taiwan Bee and Crystal Shrimp is as per this picture I drew up below. Notice in the F1 generation, the Black trait is dominant, all the resulting offspring look black, but they still carry the recessive red gene. Let's see what happens in the F2 generation. When the F1 generation mate with each other, we see the results in the F2 table above. 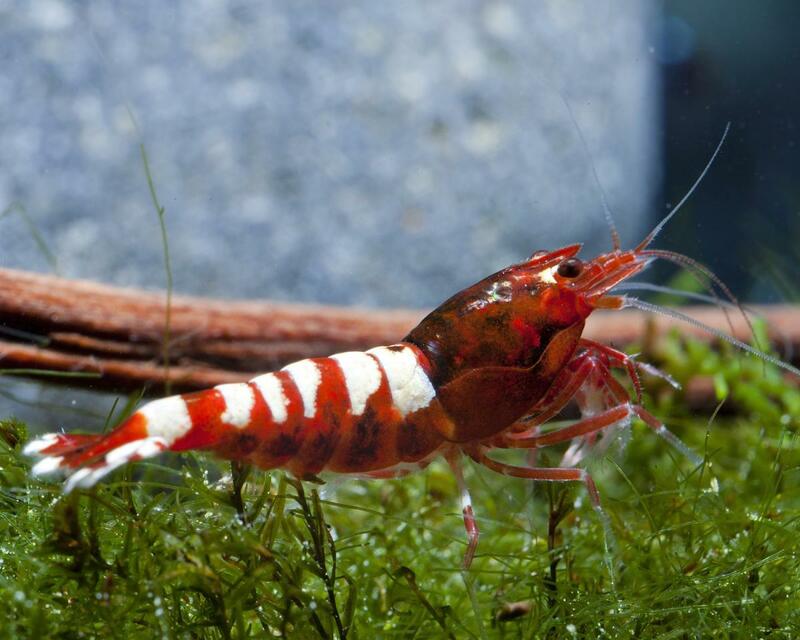 Notice we get many more Black Crystal shrimp, than Red Crystals. We also have a smaller possibility of getting Black Taiwan Bees. And an even smaller chance of getting a Red Taiwan Bee. 1 in 16 chance per egg of getting a Red Taiwan Bee. 3 in 16 chance per egg of getting a Black Taiwan Bee. 3 in 16 chance per egg of getting a Crystal Red. 9 in 16 chance per egg of getting a Crystal Black. The F3 generation will dilute the possibilities again of getting a recessive trait. 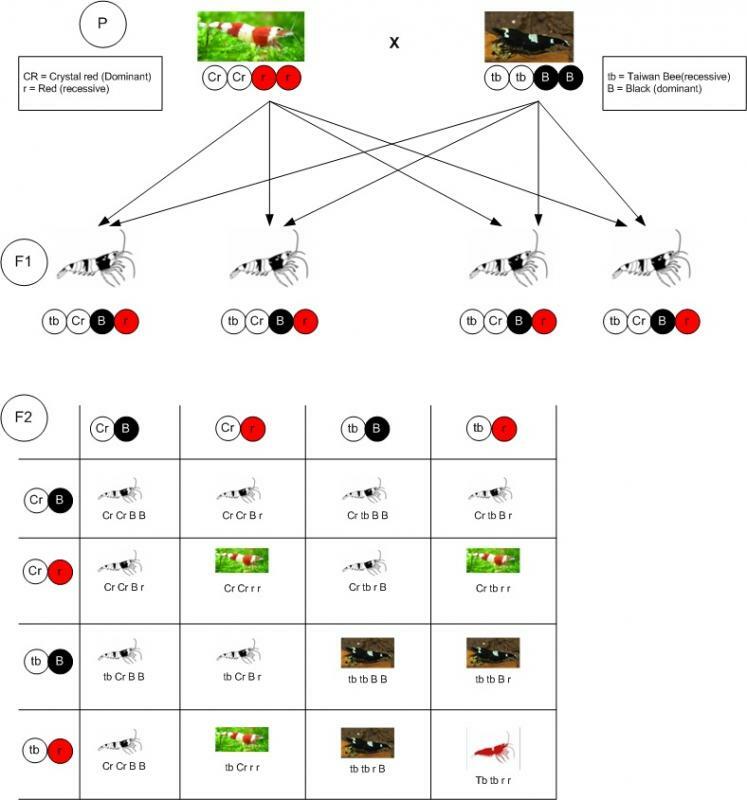 Let's assume you are aiming for that Red Taiwan Bee in the example above. The chances are 1 in 16 or a 6.25% that the right allele (or colour trait) is passed on. Notice I said "per egg". If the shrimp is carrying 16 eggs, it doesn't mean you will get at least 1 Red TB !! This is where the practice of culling is used to keep the variation in dominant and recessive traits to a minimum to achieve a certain result. There are no guarantees with nature. Even when you think you have the Blue genes breeding true in your colony of shrimps, a Red gene could pop up by chance even after 4 generations of Blues. The Blue gene might be dominant, but when two shrimps with the red recessive gene get together by chance ... nature has spun you a curve ball. What is Filial F1, F2, F3, etc ? F1 stands for Filial 1 (or first filial). Filial is a word used to describe sons and daughters, and it means the first generation from a genetic cross between parents. For example, it can be used to describe fish that are first generation from wild parents (ie. the fry have come from wild caught fish), so it's seen as an indication of genetic quality. 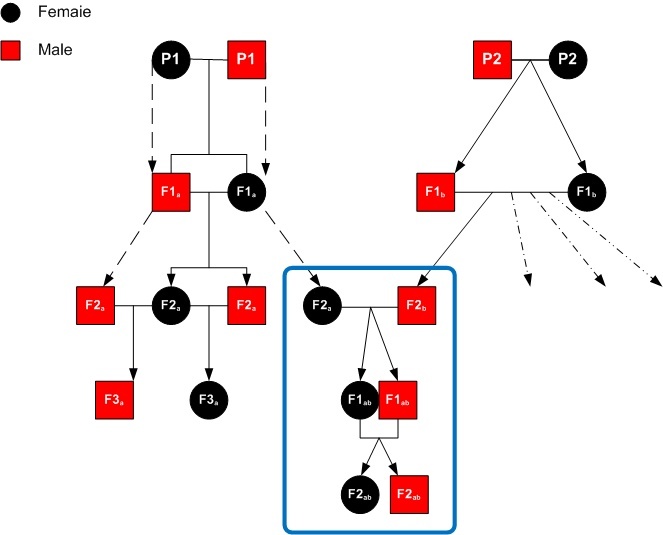 Definition: the offspring of a genetically specified mating: first filial generation (symbol F1), the offspring of parents of contrasting genotypes; second filial generation (F2), the offspring of two F1 individuals; third filial generation (F3), fourth filial generation (F4), etc., the offspring in succeeding generations of continued inbreeding of F1 descendents. So an F2 would be the 2nd generation from the original parents you are counting from. This could be from the F1 mating with the Original parents or between two F1 siblings. As long as it involves the F1 generation. An F3 would be the 3rd generation. This could be from the F2 mating with the Original parents or between two F2 siblings. As long as it involves the F2 generation. The moment you introduce an individual from a different Parent (and thus genealogy), you can't continue counting the Filial number. So while an F4 Tibee with Parents (A) X another F4 Tibee of a different Parents (B) still produces a Tibee, it is no longer an F4 Tibee. The offspring of two different F4 individuals has different genetics (A & B) now and has to be an F1 again. IF you get two related brother and sister F4 Tibees who share the same P (initial parents), then yes ... it's offspring will be an F5 Tibee. From a practical point of view, another thing Filial numbers are used for is to determine how stable the genes are in a certain specimen. For example, if you are looking for CRS, then an F8 CRS is going to be more desirable than an F1 CRS. 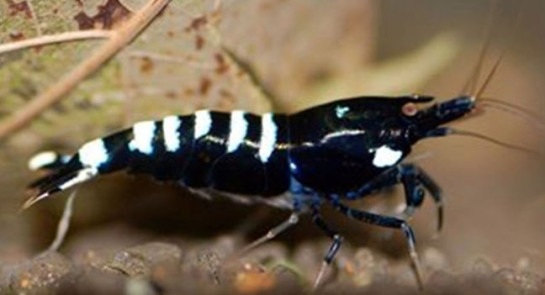 The F8 CRS has more stable genes, than an F1 CRS which might have been an offspring from a mischling or taiwan bee shrimp. And would be closer to being a candidate for a Pure Red Line programme. Thus the F1 CRS is not as "pure" bred as an F8. But on the other hand, it could also be an indication of how far it is from the desirable genetics. Like in the case of fish, an F1 Apistogramma or Discus might be more desirable than an F9 fish. Since the F1 offspring are direct descendants of wild caught fish. And if the breeding stock is small, and offsprings keep breeding with each other, then the F5 generation will have a very small gene pool diversity from it's original parents. <-- not good. Since it will be an increased risk of genetic defects/disorders. Great read, as per usual JayC!! This will help many!! Did you like my terminology for Tibee X Mischling = Tischling? Very good love the explanation for all to understand .How many breeders are going to go back to f1 tb when selling adding a new tb to the mix.egTBxf6 miinshling were the bubs will carry a very high%tb say f7 but they are not F7 but f1 as tb was a new bloodline.Thats 1 nice f1 to buy but not so good to the seller and lets face it not that many honest people left out there when money is involved so f7 it would be sold.Wouldnt trust anything over f6 myself as the chance of breeding back to parents after about 2yr are slim. Realisation that just stating F7 , or F1 description isn't going to be enough is going to be an educational task for the hobby. In the case of selling, further history of its lineage is required. That is, a more descriptive text on generation tree is going to be needed. If people are using filial numbers wrongly, doesn't make it right to continue perpetuating the problem. 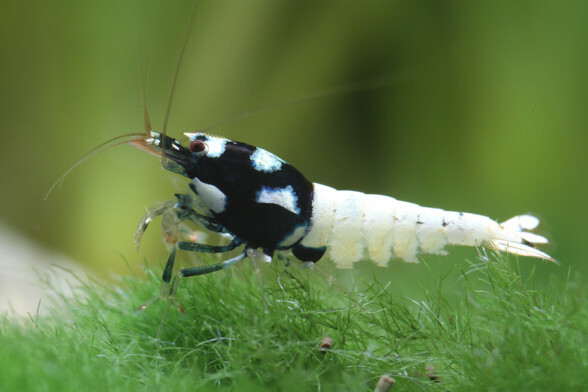 If you are buying an F7 shrimp ask for a better description of its family line. If you are selling, give an accurate description. Showing genetic tree in for sale would be good, but its a trust thing. Now that we know what filial means, and we also know how difficult it is to have the discipline to maintain Filial number tracking. We have a better idea of what it means when people use that term. 1) might actually mean an F7 is the 7th generation offspring with no introduction of outside genes. 2) at worst, what they actually mean is ... This is a 7th generation shrimp from when I first got them. At the end of the day, it might not matter to you if the F7 means (1) or (2). But it could if you are building a PRL colony, where the pure breed needs to be assured. Thanks you jayc and other contributors for helping me to see the light! If you do, you can call it whatever you want as it's creator. Just read this and finally an explanation to all the questions I had in my head. Great write up. Thanks @larrymull . Glad you liked it. You have now levelled up a few ranks above newbie. @jayc most certainly have and just went and bought myself a new ADA 60l on sale...so now I am working out a game plan...I might start a tank journal. I think you will find a Tibee cross mischling is often referred to as fancy Tibee- I'm not 100% on that but that's what I call mine, As I didn't have any TB left I bred my Tibees with F8 mischlings and I'm getting some really nice patterns happening. My Tibees were F5 -some are Taitibees some normal Tibees. I've been looking. But have not come across a name ... yet. It would be great if we can find a name , that's the trouble with hybrids though we keep getting different markings and varieties - it's sooooo difficult to keep track. I am totally amazed at what my Tibees give me. @ineke, 'fancy tibee' is too confusing for a Tibee x Mischling cross, cause it could mean a colour variation of a Tibee. Like a "Fancy Pinto" - which is a pattern variation of the pinto. Thanks for the write up. I am just starting up a breeding program and this helped getting my head around it all. A rookie mistake on a hot melbourne day (it was above 40 degrees yesterday). My tanks got a little too hot yesterday as I closed the door to where I keep them and thus prevented the air conditioning hitting that room. As a result a couple of TB female shrimp deaths and to make matters worse when I got home I left the lid off my breeding external box to give the water more air/oxygen. This morning I woke up and found 2 TB's had tried to make a run for it and had jumped out of the breeding box and were dead on the floor. Great thing about keeping shrimp is that you learn the lessons the hard way!